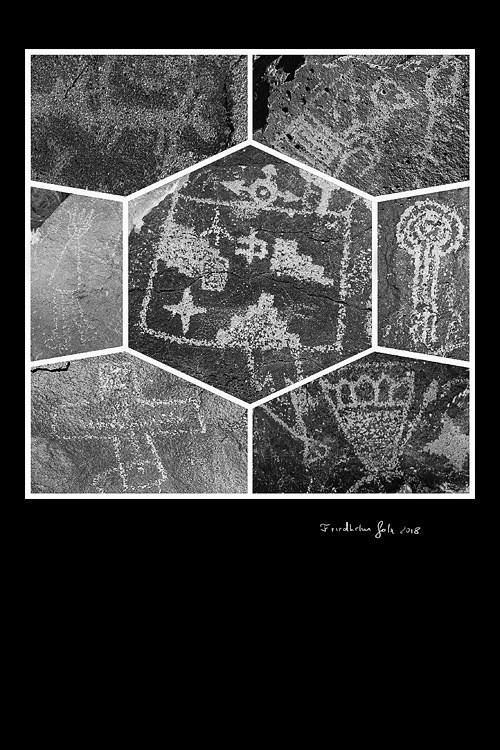 I photographed these petroglyphs at the Petroglyph National Monument in Albuquerque, NM. After creating the collage I converted the image to monochrome. 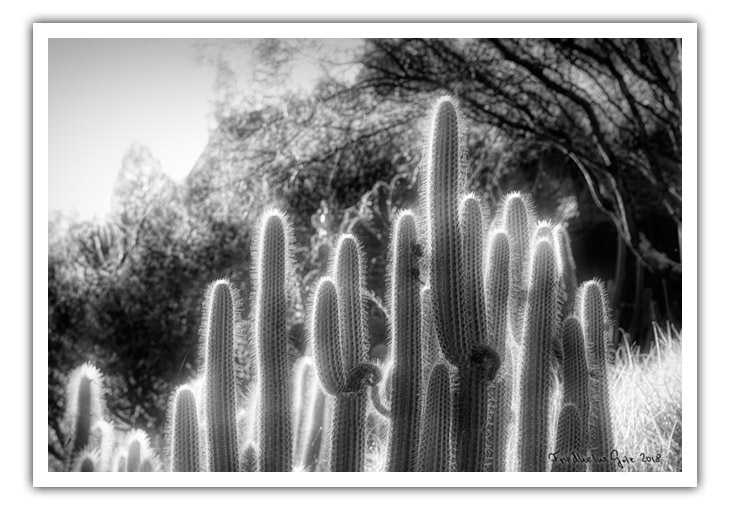 I photographed these cacti at the University of California Botanical Garden in Berkeley, CA. If you are in the area I highly recommend to visit this beautiful garden. I took an old 55mm Chinon lens with we this morning. I like this lens because it produces a beautiful background blur at f1.7. 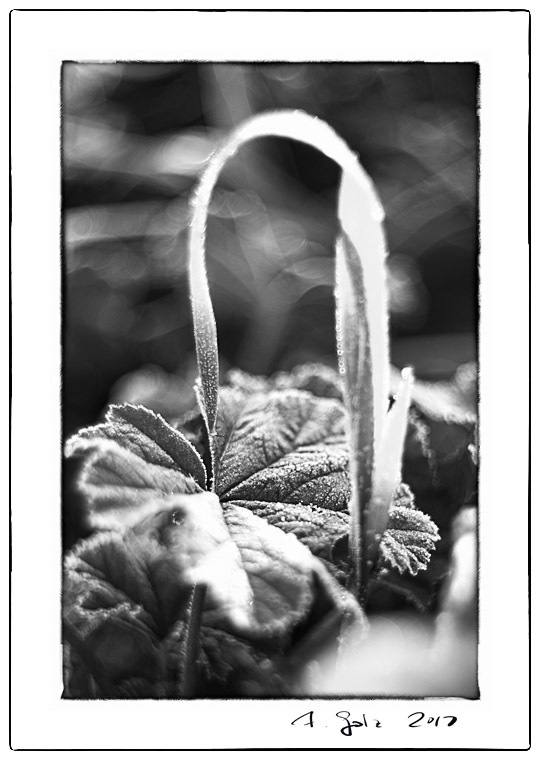 It was a frosty morning and I photographed some weeds covered in surface frost.